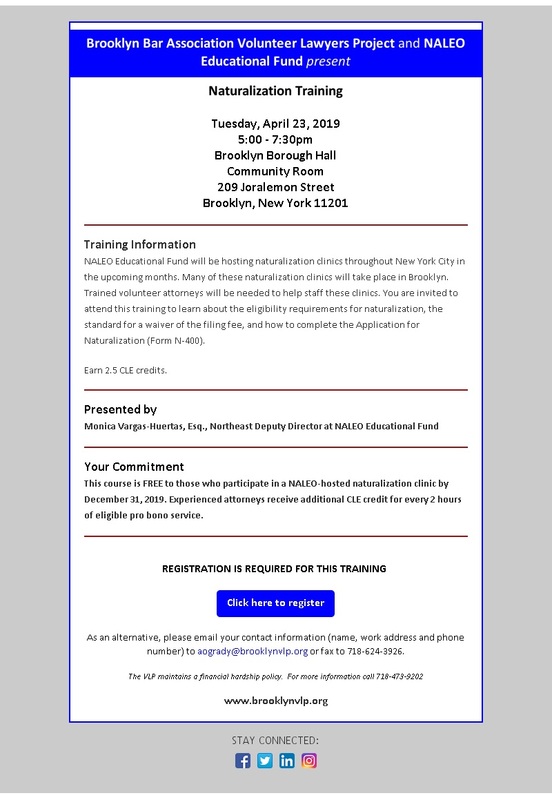 This course is FREE to those who agree to volunteer for a minimum of two three-hour sessions with the Haitian Immigration Legal Assistance Project. Experienced attorneys receive additional MCLE credit for every 6 hours of eligible pro bono service. The VLP invites you to attend the 2010 Pro Bono Fair! special event highlighting the VLP’s many pro bono opportunities. Learn how you can give back to the Brooklyn community and gain valuable skills through the VLP’s unique projects. Wine and light refreshments will be served. RSVP requested but not required. 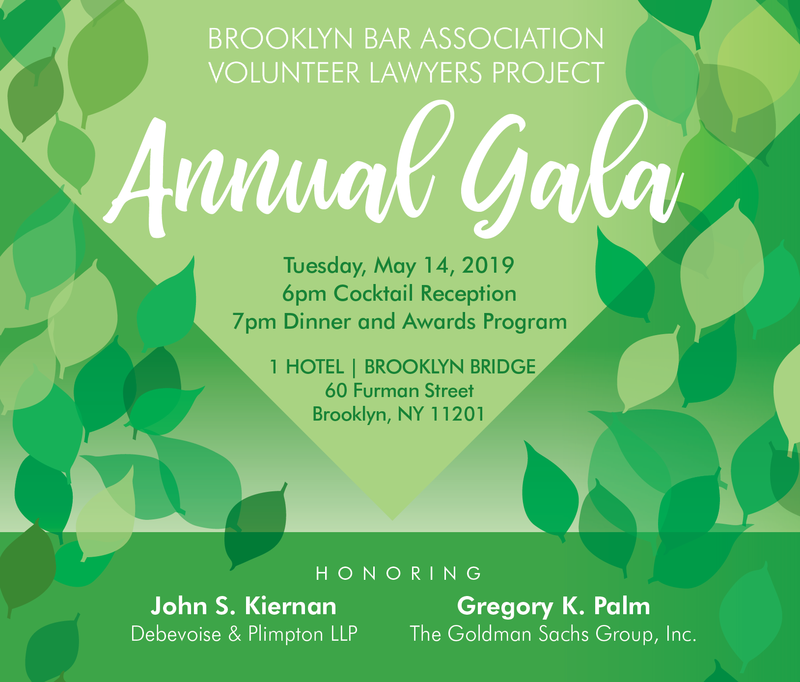 Please email probonofair@brooklynvlp.org, or call 718-624-3894, ext. 4. This course is FREE to those who volunteer for 6 total hours with CLARO or 12 total hours with the Civil Court consumer debt pro se assistance programs by October 29, 2010. In some circumstances, experienced attorneys who volunteer receive an additional MCLE credit for each six (6) hours of volunteer service. For more information, please contact: Dora Galacatos of the Feerick Center at galacatos@law.fordham.edu. Luis Rodriguez approached the Volunteer Lawyers Project last year in hopes of putting his legal and financial skills to work helping low-income Brooklyn residents. Since then he has been an active VLP volunteer, providing pro bono assistance to clients through the VLP’s Chapter 7 Bankruptcy project. Below, Luis answers a few questions about his involvement in the VLP. The VLP: Tell us a bit about your background. LR: I have a BS and MBA in Finance, JD, and am currently pursuing an LLM in Taxation from New York Law School. I am admitted to practice in New York, and in the U.S. District Court for the Eastern and Southern Districts of New York. For the last ten years I have been a corporate finance attorney documenting various types of derivative transactions for sell-side banking and brokerage firms, and last year I volunteered for the VLP’s Bankruptcy project where the highlight and challenge has been representing clients in their Chapter 7 bankruptcy matters. While not assisting VLP clients, I also serve as an active board member, and former Treasurer, of Manhattan Community Board Five in Midtown (www.cb5.org), in addition to serving as the Treasurer and board member of En Foco, Inc. (www.enfoco.org), a photographic arts nonprofit. The VLP: How did you become involved with the Volunteer Lawyers Project and what types of pro bono cases have you handled though the VLP? LR: I was looking to volunteer for pro bono services where I could lever my financial experience and passion for personal service, and as a Brooklyn native, the VLP’s Bankruptcy Project was a great fit. I worked on the Chapter 7 bankruptcy petitions of two clients that spoke and read only Spanish. Like most clients in their circumstances they were embarrassed and fraught with anxiety. After counseling them about the bankruptcy process and walking them through the credit counseling course they walked away more confident that they could begin their financial life anew. The VLP: Why do you do pro bono work? LR: It’s one of my core beliefs that attorneys have an ethical obligation to provide pro bono services – it’s not only a good thing to do, it’s the right thing to do as a citizen. The VLP: How do you balance your private practice with your pro bono work? LR: It begins with enjoying what I do for a living, then finding pro bono work that I am just as passionate about; however, having someone special in your life that is understanding and supportive certainly is a great advantage. The VLP: What would you tell other attorneys who are thinking about volunteering with the VLP? LR: My experience at VLP has been very positive. The VLP staff are friendly, knowledgeable and supportive – a pleasure to work with. VLP’s offices are conveniently near the Bankruptcy court and transportation hubs. 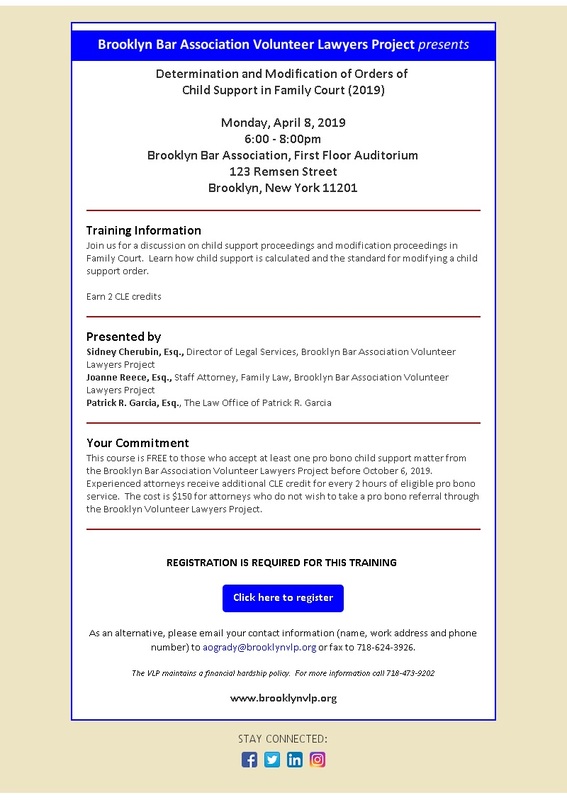 JAIME LATHROP, ESQ., Director, Foreclosure Intervention Project, Brooklyn Bar Association Volunteer Lawyers Project, Inc. This lecture is intended to cover complex situations arising within the context of mortgage foreclosures and possible solutions which practitioners can utilize in order to resolve outstanding issues with banks and other adverse parties. This course is intended solely for homeowner advocates who plan to volunteer through the VLP Foreclosure Intervention Project. There is no charge for the training. Participants agree to accept at least one pro bono referral for a Foreclosure or other matter from the VLP before July 22, 2010. Experienced attorneys receive additional MCLE credit for every 6 hours of eligible pro bono service. This course is intended solely for homeowner advocates who plan to volunteer through the VLP Foreclosure Intervention Project. There is no charge for the training. Participants agree to accept at least one pro bono referral for a Foreclosure or other matter from the VLP before July 19, 2010. Experienced attorneys receive additional MCLE credit for every 6 hours of eligible pro bono service.